Which solid state drive is best for gaming? A gaming PC is generally much more powerful than a business PC, or even a graphics workstation, because games can stress every part of a system – CPU, graphics processor (GPU), memory and storage may all be taxed, depending on the type of game. To remove potential bottlenecks, gaming PCs are often equipped with the fastest solid state drive (SSD) available, or even with multiple SSDs in a RAID configuration to further enhance performance. Games don’t simply use gigabytes of storage — loading new models, parts of a virtual map, or video that explain new challenges can require loading large amounts of data from storage into memory. The faster the storage available, the smoother and less intrusive loading these large amounts of data becomes. Before SSDs became affordable, a gaming PC was often equipped with more than one hard drive, so that by spreading data across multiple drives in a RAID array, higher performance could be achieved. However, this resulted in higher costs, since three or four hard drives were required. 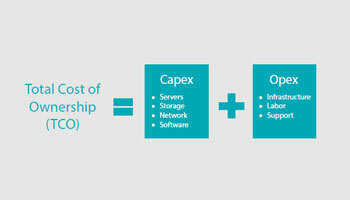 Read this white paper on the total cost of ownership advantages of using SSDs. A single SSD can achieve better performance than multiple hard drives, and at lower cost. Solid state drives have been improving at the same rate as CPUs, owing to Moore’s Law, which states that electronics double in power every 18 months, while mechanical hard drives improve only incrementally. The result is that not only do modern SSDs have capacities comparable to hard drives, but have performance in both transfer rates and access speeds that far outstrip hard drives. In fact, the latest SSDs can move data faster than the SATA bus that has been the standard for attaching hard drives to the motherboard for the last 20 years. M.2 NVMe SSDs use a newer bus since their speeds are enough to easily overwhelm the 500-600 megabytes per second (MB/s) that the SATA bus will handle. The latest SSDs — like the Samsung 970 PRO — can reach speeds of 2,500 MB/s over the NVMe bus. For less demanding games, or cost-sensitive applications, SATA SSDs such as the Samsung 860 PRO or Samsung 860 EVO still provide 10 times the performance of hard disk drives, at a lower cost point than NVMe SSDs. New motherboards, especially high performance gaming motherboards, usually have at least one and as many as four M.2 PCIe NMVe slots, allowing the use of NVMe SSDs without an add-on PCIe card (known as a sled), which uses a 16x PCIe slot to support one to four NVMe SSDs. In addition to the blistering speed of SSDs, other factors make them ideal for a gaming PC. Gaming PCs with multiple graphics cards and a heavy-duty CPU can generate a lot of heat, requiring optimized airflow or even liquid cooling systems. Since SSDs use less power and generate less heat than a hard drive, they can lighten the burden on the cooling system and the power supply more than a hard drive or multiple hard drives would. Given the size of some games today (as high as 60-100GB), some go to the lengths of specifying two types of storage – extremely fast for whatever is currently being played, and a slower, but higher capacity drive for other data that doesn’t need to be accessed as quickly. This combination might be a SATA SSD and a hard drive, or an NVMe SSD and a SATA SSD. This optimizes performance while keeping costs lower. In either case most games will show great improvements in initial load times, smoothness ,and latency during game play, if the gaming PC comes equipped with SSDs. Find out more about the total cost of ownership of SSDs not just for gaming, but data storage for corporate use with this white paper.